An elasticated wrist strap gives greater wrist stability. The aluminium splint can easily be removed to fit right or left hand. 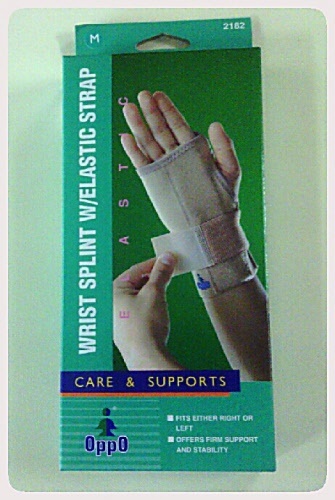 Removable aluminium splint which can be contoured by doctor or therapist to desired position. Comfortable and effective support without restricting blood circulation or muscle tone. Features contoured metal splint for extra stability.